oil on canvas, 25” x 30”, signed and dated 1925 lower right. Artist First Name H. M.
Comments Original exhibition labels verso. 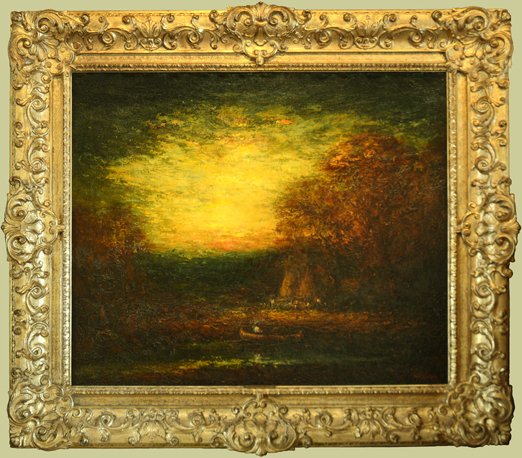 This painting is in excellent condition in the original gold period frame, also in excellent condition.